Posted on August 21, 2013 by Karin Shibata Posted in Blog, Insolite, Japanese, Junk, Snacks	. Learn 46 English animal words while eating vegetables. 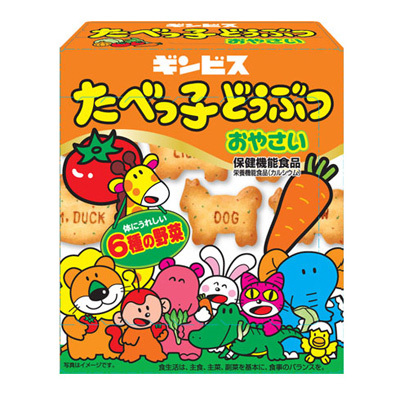 These smart animal biscuits contains 6 vegetables (spinach, tomato, carrot…), calcium and DHA.